Light pours in when the retired postman opens the window to his bedroom. A withered old poster filled with flowers appears out of the shadows. 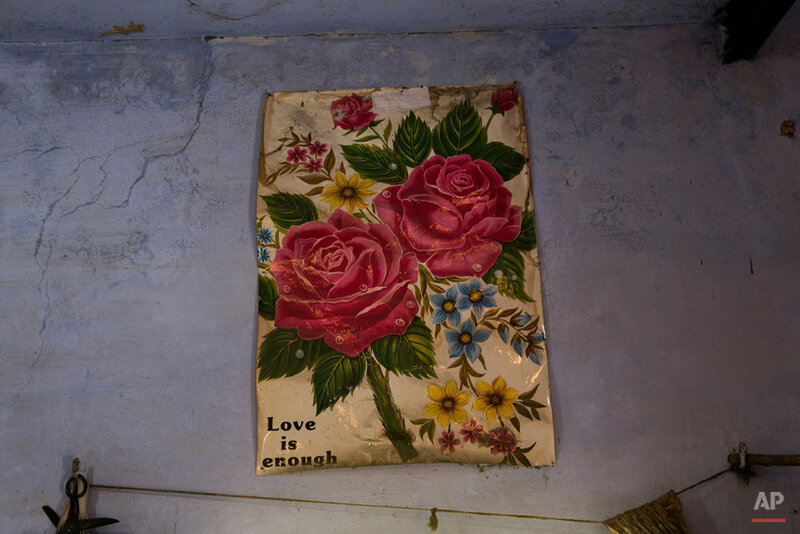 "Love is enough," the poster says. Now, he can look out that window and see the monument he is building in Tajammuli's memory. The central building has a rounded ceiling and archways, echoing the architecture of the long-gone Mughal kings who once ruled India. Four towers are on the building's perimeter. It is Tajammuli's tomb. "We were just a normal couple," says Qadri. It was an arranged marriage, a practice that remains widespread across India, and was near-universal when he was a young man. "Whenever we had a fight and I was angry, she would keep quiet and vice versa." They never had any children. One day, Tajammuli asked who would remember them once they were gone. "I will build a tomb that everybody will remember," he told her. It was for her, he says, though one day he will also be laid inside it. After she died, he sold her small pieces of jewelry and some family farmland. He added everything he'd saved over the years and started building. Tajammuli lies inside the main building in a small tomb, but almost three years later the project still unfinished. He doesn't have much money, and only hires workers when he can afford it. "It is a proof of love. I have to do it on my own," Qadri says. 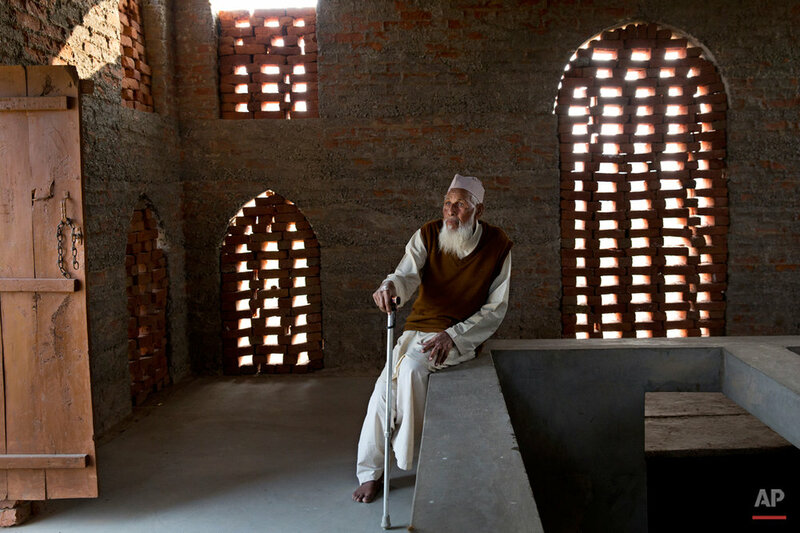 Qadri designed the building himself, clearly inspired by India's ancient monuments. But he laughed when villagers started calling it the Taj Mahal, after the mausoleum famously built by a Mughal king for his favorite wife. He'd only visited the Taj Mahal once. It is 140 kilometers (85 miles) away from here, and they had little money for traveling. Tajammuli only saw it in pictures. 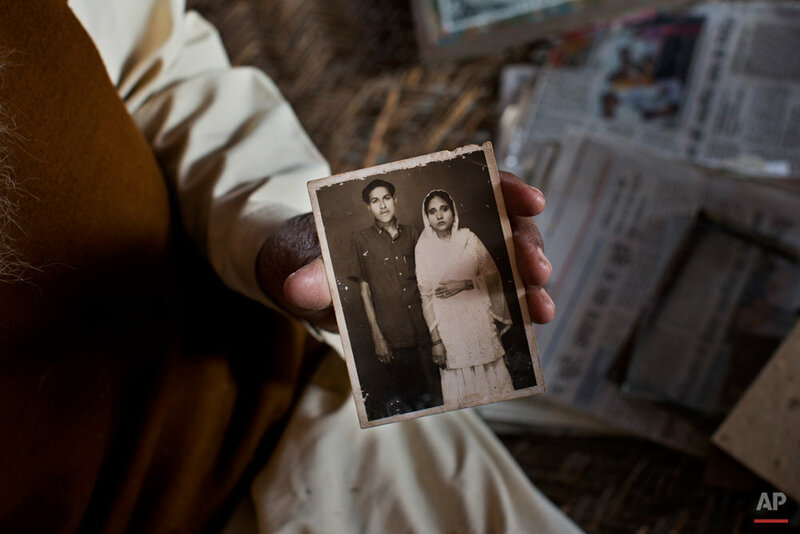 In the bedroom, a clock ticks next a picture of the couple in their older years, and Qadri reads aloud from love poems he wrote for her after she died. Beside him sits a marble plaque engraved with Tajammuli's name. He will install it, he says, only once the mausoleum is completed. Text from the AP news story, In small-town India, a monument to love, by Bernat Armangue. Associated Press writer Tsering Topgyal contributed to this report.